Many people use periods of fasting in their diets for a variety of reasons. It can help reduce body fat, improve your focus, and even help with signs of ageing when done correctly. A huge concern when it comes to fasting, though, is doing it safely. For instance, if you take supplements regularly how should you utilise them while fasting? Should you use them at all? Can Supplements Be Used While Fasting? The first question is, of course, if you can use supplements at all while you’re fasting. Well, this question doesn’t exactly have a clear answer. It depends heavily on what supplements you use and how you react to them when you take them. It also depends on what type of fast you are taking. For many – especially longer – fasts, supplementation use is okay. In fact, when fasting, the nutrients in your body needed to sustain ketosis deplete quickly and supplements can be used to combat that. However, to be truly safe, you need to look specifically at the type of fast you are taking and the supplements you are considering using. Can Supplements Take You Out of a Fast? When fasting, the last thing you want is to accidentally take yourself out of a fast by stopping the positive effects that a fast can have on your body. There are certain supplements that will do this. Amino acids such branched-chain amino acids (BCAAs) raise your insulin levels which can throw you out of ketosis. It’s best to avoid these during your fast. Many supplements are fine to take during a fast and can even help, though. We will take a closer look at supplements that can help you when fasting in a moment. As noted, it’s important to determine what type of fast you are going to take before looking at what supplements you need and supplements you should avoid. 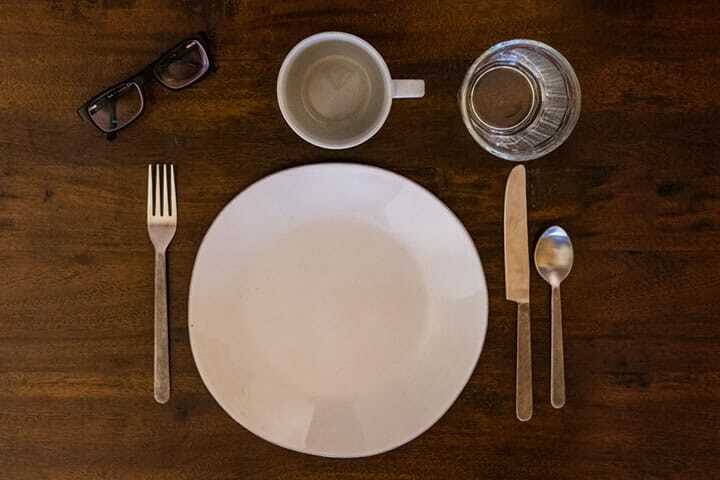 Intermittent fasting gets its name because you are only fasting for shorter, intermittent periods. This can be done a few different ways. One might fast intermittently by skipped certain meals or they might give themselves a window of a few hours each in which they intake calories. Ideally, the meals you eat during an intermittent fast are nutrient-rich. Extended fasting, as you might have guessed, excludes any calorie intake for the duration of the fast. During these fasts, when you aren’t consuming any nutrients, supplementation can be even more important. No matter whether you are participating in intermittent fasting or extended fasting, water is important. When you are looking for what type of water to drink, you might want to invest in a water filter or system. What Supplements Should You Focus On? Just like when you are choosing supplements regularly, there are some that are going to be very helpful to you and there are some that you will want to avoid. To help you out, here’s a handy list of some supplements you might want to try. Electrolytes are probably something you think about when you finish a workout but they’re important to consider when you fast as well. When you fast, your ketone levels rise and insulin levels drop. This causes the body to flush sodium and potassium – electrolytes. Low electrolytes can leave you feeling fatigue or even light-headed because it will make it harder for the body to access fat stores. Supplementing these are a good idea. Most people are naturally low on vitamin D and take a supplement for it regularly. These supplements can be continued during a long fast and are especially helpful since they help the body absorb magnesium. The way many of us get vitamin D is through sun exposure. This is the most natural way to get a little extra vitamin D, so it can be beneficial to get outside during your fast. Just don’t forget the sunscreen! Magnesium is crucial to bodily functions such as maintaining blood pressure and nerve function. Much like electrolytes, though, it is easily depleted when fasting. You can use a supplement for it to fight off feelings of mental fogginess and muscle cramps as you fast. What Supplements Should You Avoid? The supplements that won’t help you when you’re fasting are ones that are processed best when they are taken with food. Choices such as krill oil and curcumin won’t absorb into your body properly when they aren’t consumed alongside food, so they aren’t really worth your time. Generally, fat-soluble vitamins are best taken during your eating window if you are taking them during a fast. There are also certain supplements that many find to make them nauseous when they aren’t taken with food. B-vitamins, for example, can have this effect if taken with just water or even black coffee. Certain vitamins can react to different bodies slightly differently. So, if you take a vitamin and then find yourself feeling foggy, shaky, or sick to your stomach, you’ll want to avoid these during your future fasts. Chromium and vanadium are also better to avoid while you’re fasting. These supplements can drop your blood sugar and when you are fasting, this can lead to hypoglycaemia. This can lead to a variety of problems such as shakiness, dizziness, problems with your mood, headaches, and severe hypoglycaemia can even lead to problems such as passing out. Hypoglycaemia can also make you hungry, which isn’t exactly what you need when you are trying to fast. Many of us like to start our morning with a cup of coffee to keep us going. However, does this morning cup of joe take you out of your fast? Well, it depends. True fasting purists will probably tell you that if it isn’t water, you’ve broken your fast. The truth is, though, that coffee, on its own, won’t take you out of your fast. In fact, coffee can enhance your fatty acid utilisation which can help you burn fat and coffee can give your metabolism a boost. It can even give you a cognitive boost to get through a slow day. When coffee will break your fast is when it isn’t pure, black coffee. If you’re adding modifications to your coffee such as sugar, milk, cream, butter, etc. you will be breaking your fast. Caffeine supplements are also sometimes used as they not only give you the benefits of caffeine without any added modifications or sweeteners. Caffeine in supplement form also usually helps you avoid the downfalls of coffee such as jitters or crashes. Cortisol is more casually referred to as the stress hormone. This is because it’s a hormone produced in the adrenal cortex that is our bodies’ response to stress. When cortisol is high, you are more alert and you don’t need as much sleep. Physically, high cortisol levels also increase glucose availability by stopping any non-essential metabolic activities. This is done so that your muscles have the energy needed to work at their best. Think about it this way; in the times of cavemen, this is the hormone that allowed you to run from danger. In the modern age, your cortisol levels can be raised not only by danger but by daily stress as well. Excess cortisol, in the short run, isn’t too much of a problem. However, some studies have shown that consistently high cortisol levels can cause weight gain. Cortisol isn’t inherently bad, it’s just something that needs to be balanced in its production. When cortisol production is chronically high, that is when a real problem arises. But what does cortisol mean during a fast? It depends. If you are taking a supplement that only slightly raises your cortisol, you’re probably fine. Again, purists will probably argue that all cortisol increase is bad but it is mainly supplements that drastically increase your cortisol that you should avoid. Now that we’ve talked a bit about supplements while fasting; what about nootropics? Are they safe to take while fasting? Well, it depends on the nootropic. Let’s narrow it down to one nootropic which is popular right now. Modafinil is often used to promote better moods and increase energy. It can be taken with or without food, so you’re fine to use it while fasting. However, it is wise to double-check this with your pharmacist or doctor. They know best when it comes to how a substance will react to changes in your life. We’ve already gone over the fact that a cup of black coffee is a great, non-supplement option when it comes to fasting. There are more non-supplement choices that you can alternatively use when you are fasting as well. Green tea is a powerhouse when it comes to fasting. It offers caffeine – not as much as coffee – and offers you a cognitive boost. In addition, green tea can help you burn fat and increase your physical performance. Bone broth is also a commonly used tool in fasting, especially extended fasting. It can help your body detox and can speed up body fat loss. When individuals do a bone broth fast, they usually consume 2-3 quarts of bone broth a day from various sources.